"A series of programs for the development of role playing games." Allowing users to create their own role playing games seamlessly. RPG Maker has been around since 1988 and is primarily released in Japan, but is always released later to other regions of the world, as well. The software is currently developed by Enterbrain. The software has been continued and managed by various developers since it's original release in 1988. 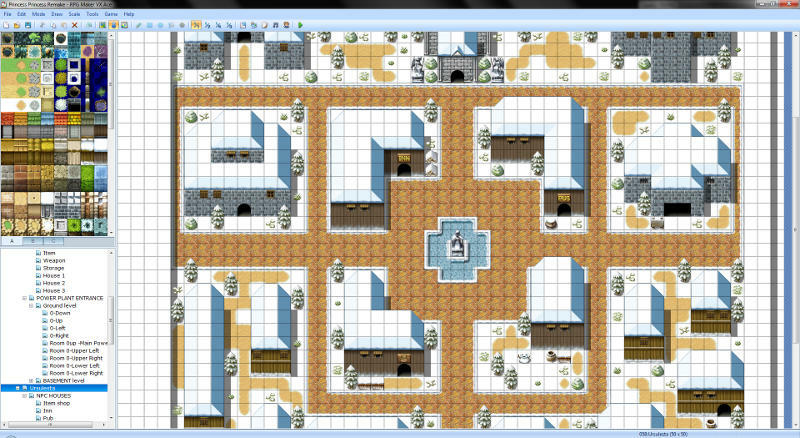 While allowing users to create their own role playing games, most version include a tile set based map editor, a simple scripting language for scripting events, and a battle editor. All of these version come with premade tilesets to start you off. The scripting language is also quite easy, and does not require much to learn, which is pretty nice for novice users that would like to get to creating their game right away. RPG Maker is the most popular RPG creation software you will find on the Internet. It is commonly used by developers that wish to make simple, retro-like RPG games that you loved to play back in the day. This time you get you put your ideas together and make something that appeals to you and to those you feel might want to play your game. Put your ideas together using the most popular RPG creation software available. 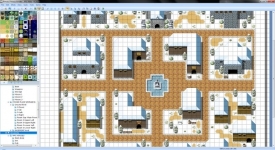 While RPG Maker is available for Windows, it is actually also available for game consoles such as the Playstation, Playstation 2, and Nintendo DS. This makes RPG Maker quite unique since it is one of very few creation software to be available to game consoles.